Yutu translates into English as Jade Rabbit! The moon is still a fascinating place. I have noticed the brownish surface. Not the expected Gray. I am wondering if this is a camera artefact. My camera also take images that are clearly brownish under certain light conditions. When almost a new moon, I hope they snap a photo of the Earth, like the one our astronauts took. Bon Voyage Jade Rabbit! Don’t forget to write and send pictures! We hope you find something that convinces the rest of us, including the USA, to return to the Moon! I want to see more pictures of the moon. This is really exciting. I am a little disappointed to see no trees or grass at all. I am hoping we can find some forms of lives upthere. It is really great to see all the moon pictures. Trees and grass on the Moon?! Er… dude, I think you’ve had too much eggnog! One article on this began with Stunning. Of course there was nothing of the sort. Article just as this one filled from end to end with graphical representations. Now this one uses breath taking. Well where is the taking of breath? More like the letting down of billions to me. May I suggest the use of Heart Breaking? Have you noticed how the ‘right hand’ solar panel on the rover is lower than the left? Am SURE that is intentional… or at least assume it so. But consider they landed at noon, doesn’t it seem that both panels would be flat toward Sol at that time? notice that the shadows go off to the left, so the sun is up at an angle in the sky. There are no trees or grass in the Moon. On the other hand, there’s cheese everywhere! Notice the 1st, 2nd and 3rd picture from the top. They all show the sky as “pitch black”… with no stars on it…..
Notice 2nd picture, this landing rover as it landed with a rocket propelling gas downwards towards the Moons surface, it must have disturbed a lot of the Moon dust, and we know the Moon has lots of dust in its surface. So how come there is no dust on top of the Landing Rovers feet? Surely the disturbed dust would have to come back down again and cover the feet? Why are those feet so sparkly? 3rd picture, is black and white!! do I need to say more? The first two are in colour but the third in black and white? Come on people how naive can you be….!!!!! The chinese are surely using the same tricks as NASA did to convince the sheep that they have landed on the Moon. no stars are captured because starlight is very faint. for cameras to capture starlight, exposure times of several seconds are needed. since the lunar surface is comparatively very bright, images of the surface with exposure times of several seconds would be badly overexposed and washed out. you’ll be happy to know, though, that the lander does contain a telescope that is meant to observe the stars. the lander cut its engines a few feet above the surface, so when it landed there shouldn’t have been any dust blast to gather on the feet. remember, the moon has no atmosphere, so there are no billowing dust clouds, the dust that got kicked up just falls back down to the surface immediately. the third picture appears to be in color. the quality is very low, however, since it is taken from a Chinese media video. The best proof that NASA has been lying for the past 47 years. The moon is not black and white. is full in colors. The Moon is not just crater everywhere; is full of terrine brown sand, rocks and strange structures. Just doing close up to those pictures you can see some objects geometrical. Our brain is programmed to expect an isolate sand black and white where nothing exists Open up your mind and do some close up to those pictures and you will find the truth. 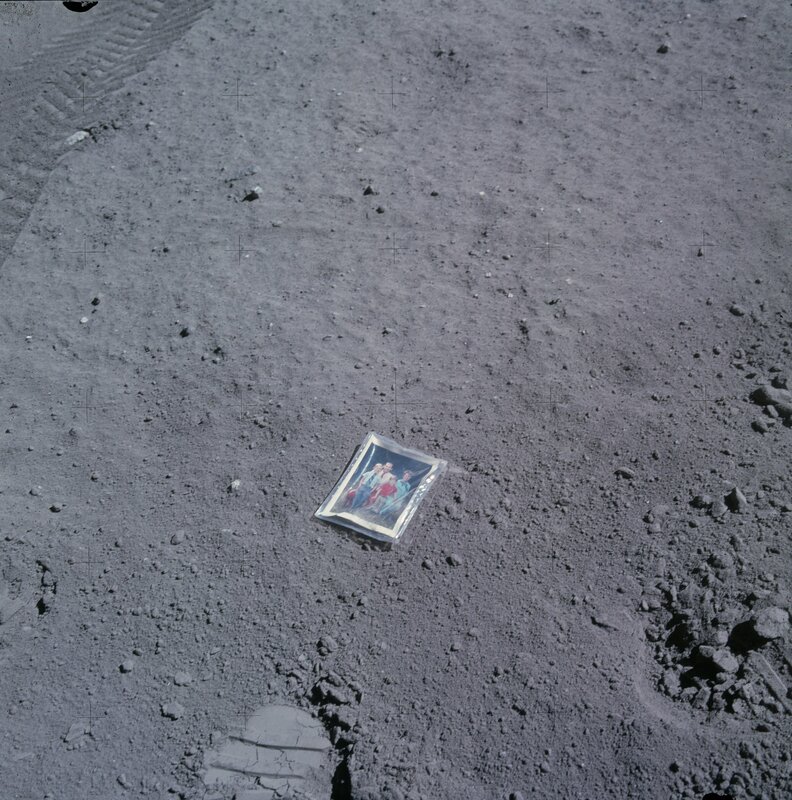 there are Apollo pictures which show the lunar soil as more brown in color. this is primarily due to the incident angle of the sunlight. Thanks for the info Hug. I am 100% sure about NASA’s cover up. First, any landscape seen for miles away, colors dissipate becoming a fading white smokey. Mars looks brownish due to the reddish color of mos of the surface. Earth looks bluesh and white. The effect of getting a white color means much colors or all possible color present. This is basic science. Experts in photography agree on that. So the moon looks white from far away. That would mean all colors present. Very few people know what the moon really looks like. The best proof of my statement is to check your iPad or iPhone apps. While all planets can be seen in full color, only the moon, the closest one of all, is black and white. 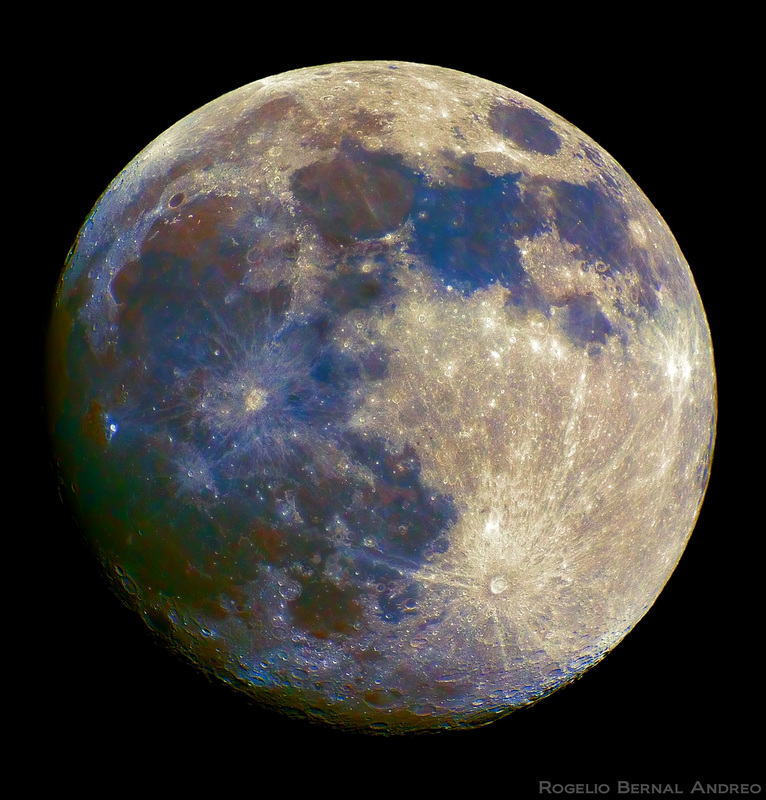 the Moon is different – there is no atmosphere, so there is no haze. details don’t fade with distance, which is why a lot of conspiracy nuts think that the distant mountains in lunar landscape images are a backdrop. you are completely correct that haze does happen on the Earth and on Mars, though. anyone who looks up at the night sky knows what the Moon looks like. get a telescope or find a friend who has one. you can look at the Moon for yourself. while the Apollo surface excursions often showed us a pretty uniformly gray moon (with a number of notable exceptions, like orange soil!) http://history.nasa.gov/alsj/a16/AS16-117-18841HR.jpg the moon isn’t really black and white, there are lots of subtle colors thanks to the mineral content of different areas on the Moon, and how predominant iron or titanium are on the surface. Download first picture. Open up using Microsoft Picture Manager. Do a close up to 400 or 800. Take a look at the top left side and there is a geometrical structure as well as top center, leaning to the left.